Marvel Team-Up #1, 1972. “Have Yourself a Sandman Little Christmas” | Magazines and Monsters! Well, here we are on Christmas Eve! I must post a story that coincides with the impending holiday, right? So, here you go! 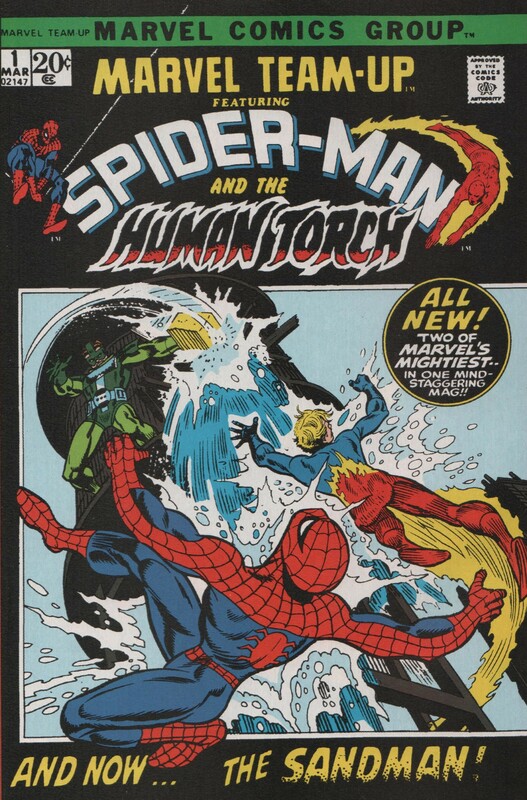 A milestone issue from 1972, that showcases Spider-Man and his buddy, the Human Torch, as they battle the sinister Sandman! Written by Roy “the boy” Thomas, pencils by the late Ross Andru, inks by Mike Esposito, and letters by Artie Simek! As is that wasn’t enough of a crew, you also get a phenomenal cover by Gil Kane and Frank Giacoia! Enjoy!